So are you lot on to your second or third Christmas dinner yet? Need to say thank you to those family members who have slaved away for hours to cook that perfectly stuffed Turkey, roast those potatoes and sizzle those sprouts? Then Tesco has the perfect thank you gift, which should put a smile on everyone’s faces in time for 2014. Tesco’s jumped on the band wagon, and decided to join the social media fun by providing a series of short YouTube videos for a fun way to share a thank you through entertaining songs. 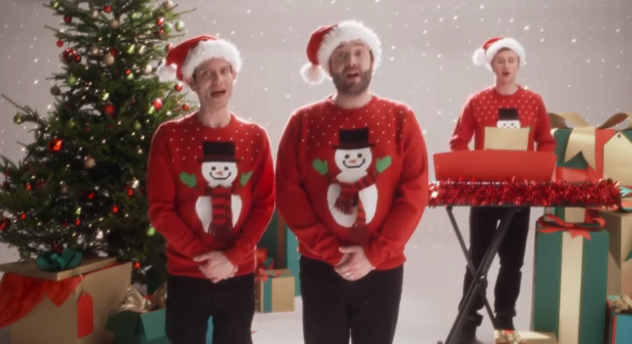 With videos featuring a singing trio whose songs cover everything from Christmas socks to sprouts and cooking the dinner, the campaign has been running from Christmas day. There are 15 short clips which can be emailed, tweeted or posted to family and friends. It’s a traditional part of Christmas day to call friends and family and to say thanks for the gifts received, but this year we did it online more than ever. With over 90% of 16-24 year olds and 74% 25-44 years olds on social media, it’s clear that many of us will be spreading the Christmas cheer online. 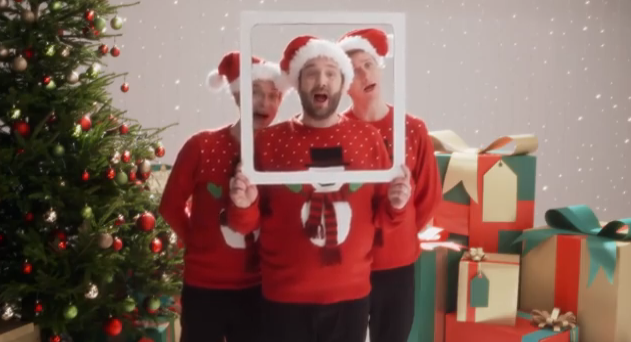 Tesco has been emailing their millions of Clubcard customers the Big Thank You videos to offer their singing services, as well as sharing them through Twitter, Facebook, Google+ and YouTube. This is all young people nonsense no? And it’s not just youngsters who’ll be on social media during this festive period either, as 19% of 65-74 year olds are also online tweeting and posting. Tesco expect to see grandparents, parents, aunts and uncles all sharing the Big Thank You videos with relatives. And, with record numbers of us expecting to unwrap tablets – 60% of us have one our wish list** there will be a tuneful way to say thank you with your new gift. Get sharing and Sing a song of Thank You’s! Thanks to Tesco! The Big Thank You videos can be watched and shared here.